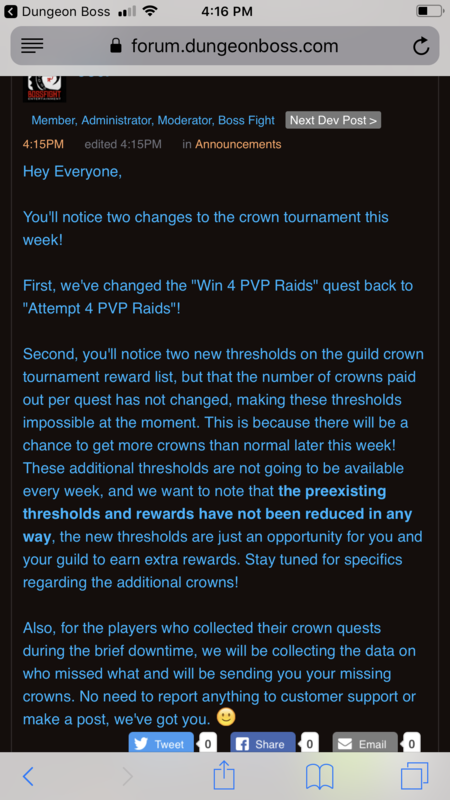 @ClaraR We've added 125 crowns to all guilds to account for the players who missed crowns, which actually ends up being more than guilds should have needed in terms of crown reimbursement. 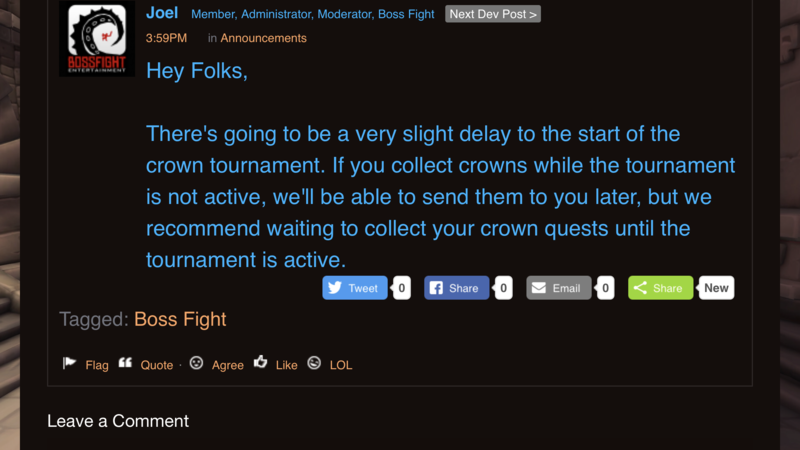 If your guild had more than 3 players who missed out on crowns, please contact customer support with your guild information and the number of players who didn't get their crowns. 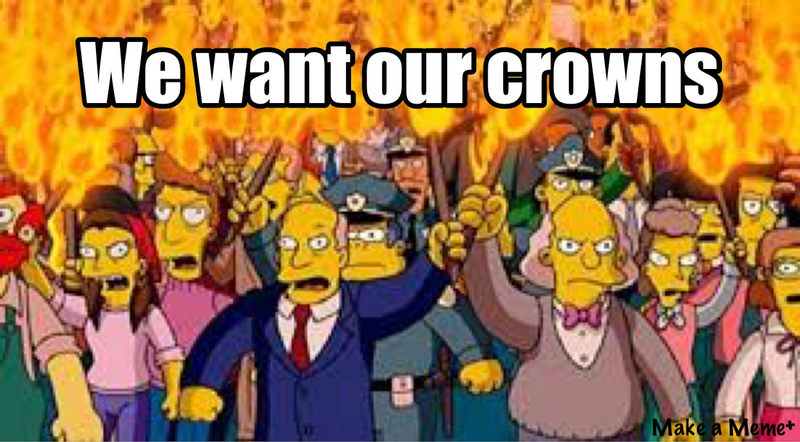 If anyone needs some crowns, you can buy 200 in the shop. What is the current crown quests reset time?